Narrator was awful, subject matter was lacking. Welcome to Heartland Horrors, the newest box set of the New York Times best-selling series of tales of America’s most notorious criminals and the crimes that shaped the places we call home. 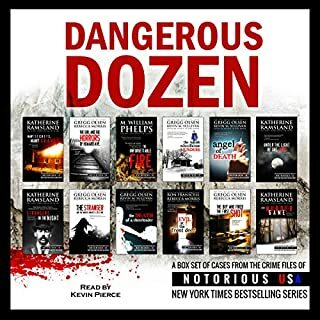 In this collection, you’ll have no better guide through the darkest sides of Iowa, Nebraska, and Kansas than Katherine Ramsland, one of America’s most legendary true crime authors and researchers. Dr. Ramsland digs in deep and uncovers things that others before her have simply missed. With each story, she gives listeners a look deep into the heart of darkness. Dinner At The Serial Killer Buffet! Welcome to New York, Notorious USA! The Empire State has witnessed many unique and perverse crimes. Quite a few triggered international headlines. This is where the phrase "serial killer" was born - for good reason! From genius killers to violent child molesters, New York has it all. We also find the demented assassinations of Stanford White and John Lennon, the strange case that inspired Edgar Allen Poe, murders that enthralled filmmakers, scandalous crimes that altered journalism, and even a murderous writer. 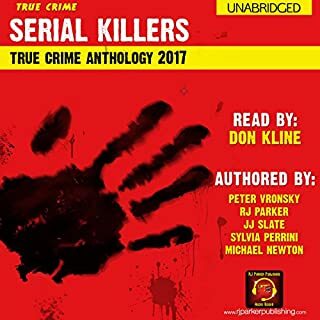 Six true-crime authors come together to present the second annual Serial Killers True Crime Anthology, which depicts 13 horrific cases of serial homicide told in detail. Each case will take the listener from the background of the serial killer to the crime scene, investigation, trial, and sentencing. This year we bring you more riveting and gruesome serial killers from around the world. ©2015 RJ Parker Publishing, Inc. (P)2015 RJ Parker Publishing, Inc. The performance was stilted and so bad as to be distracting from the storyline. It sounded in parts as if he paused at line breaks instead of in relation to punctuation or narrative content. It sounded as if he was reading the material for the first time while recording. What did you like best about 2015 Serial Killers True Crime Anthology: Volume 2? What did you like least? Didn't finish listening because narrating was so awful. It was so distracting I couldn't concentrate on what was being said. I have never had this experience with a narrator before. Would you be willing to try another one of Don Kline’s performances? 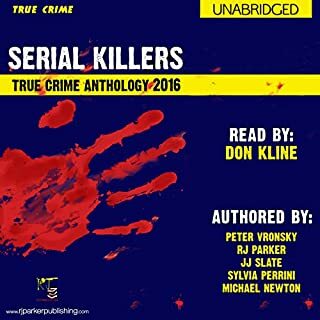 Did 2015 Serial Killers True Crime Anthology: Volume 2 inspire you to do anything? Don Kline should only read at bedtime for his kids so the rest of us don't have to suffer. What a terrible narration! 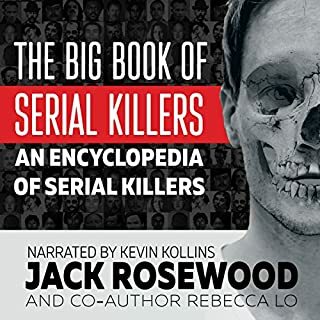 What made the experience of listening to 2015 Serial Killers True Crime Anthology: Volume 2 the most enjoyable? I loved that each chapter was a different individual, some longer than others. This made it intriguing to read, I was always looking forward to the next chapter. What was one of the most memorable moments of 2015 Serial Killers True Crime Anthology: Volume 2? Because each story was unique, there wasn't necessarily a single memorable moment. The book in its entirety was memorable. Yes, the narrator was at times distracting. His kadence sounded.... like a bad...... William ...Shatner .. impression. Not to mention at really odd times. "Four hundred & sixty six..... dollars... or.... five hundred & thirty five... POUNDS." It was comical then annoying as it really distracts from the story. Also, his impressions of characters were at times inappropriate, specifically the woman yelling "oh my god" over & over. I thought it over-indulged. narrator voice lacked any life in it , considering the fact that he was describing the horrific death of real victims there should have been a compassionate tone , No there wasn't just monotone voice . Was not happy with this purchase , At All !! The Narrator horrible and annoying. Sounds like he is fat and out of breath. very exciting book! detailed information on the crimes and it was scary to know that this was true life investigations. kept me on my toes. Would you try another book from the authors and/or Don Kline? NO....... NEVER.... in fact, I recommend this guy gets a new career, or some better coaching on how to narrate- his first performance I purchased was WORSE than this one, and ruined the story... I don't know how anyone can publish such a performance- doesn't anyone listen to the product before completion???? boring, it didn't keep interested, don't waste your money. there are better audble serial killer books like bizzar crimes. Great if you like true crime stories. I like the ! it's like your looking over the shoulder watching as the crime happens For all true crime enthusiastic readers. Enough detail about each killers backgrounds,their personalities and how peers viewed them without going on too much . Fabulously scary. Great narration somehow suits the topic! 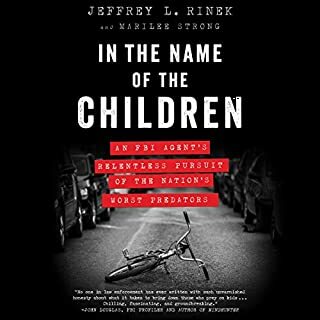 This collection gives the stories of the victims and either the tale as told by the perp or the psychological background to the type of murderer. I found Don Kline to be very easy to listen to - his voice did not intrude between me and the story.